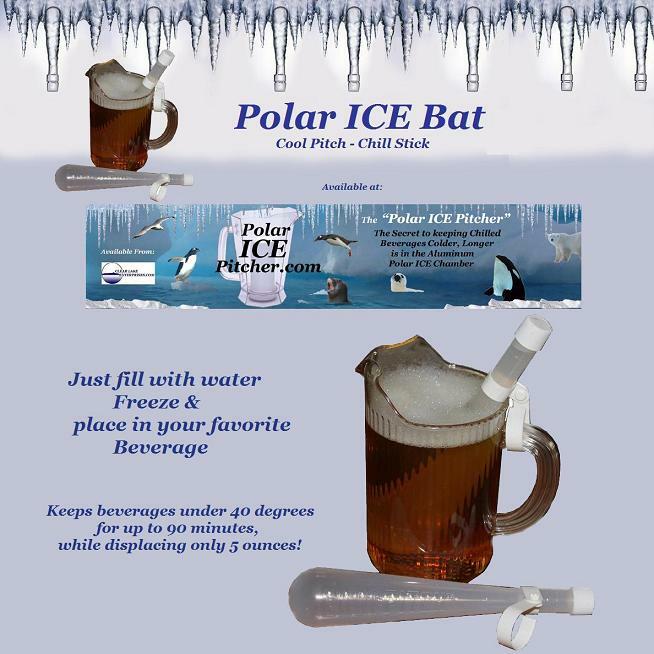 The Polar ICE Bat is a new ice product that is shaped like a baseball bat and chills beverages served in pitchers or oversized mugs. 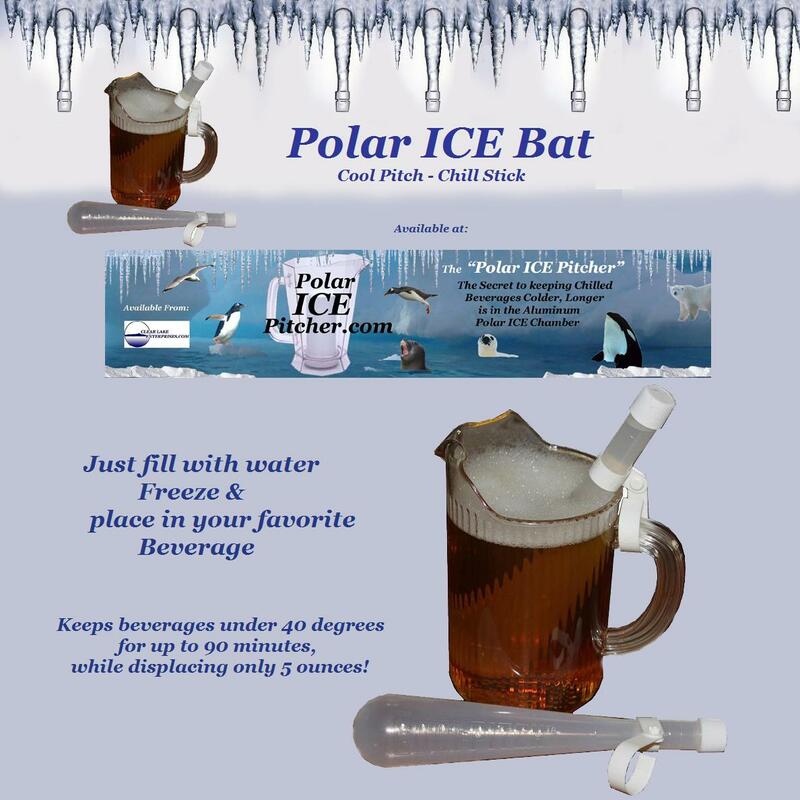 Just add water, freeze, and place in your favorite beverage. 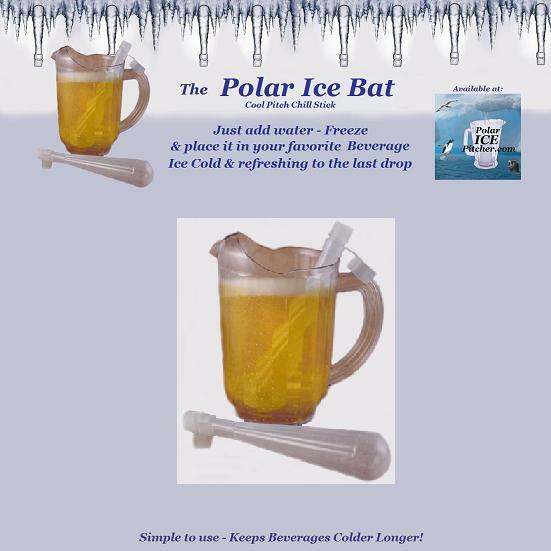 Comes with a convenient handle clip to keep it securely in place while pouring. 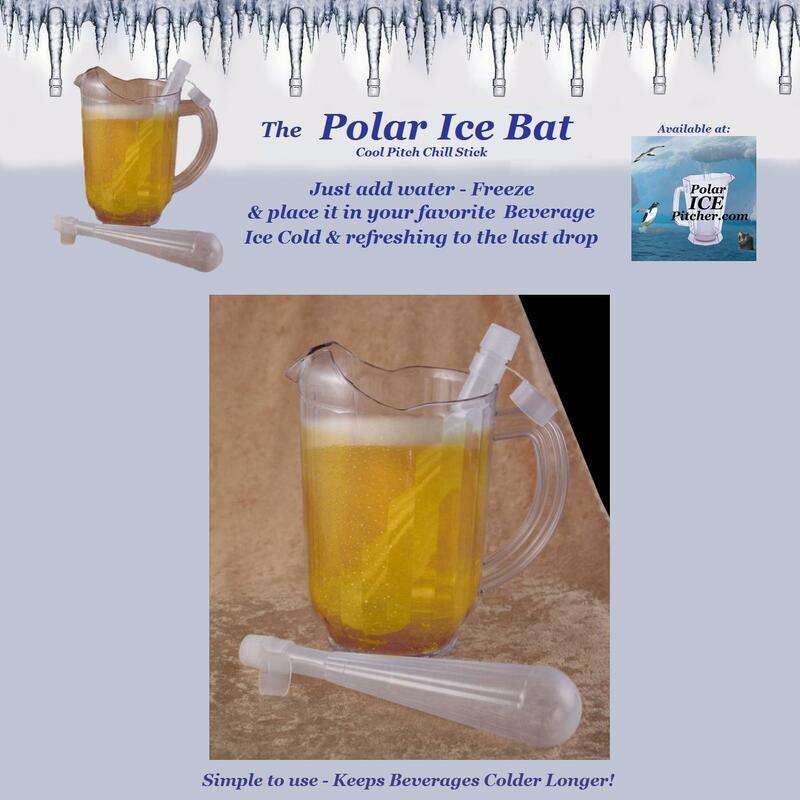 Keeps beverages under 40 degrees for up to 90 minutes, while displacing only 5 ounces!